Fitness is the new mantra for the world today. It is good news for the yoga instructors and fitness schools as the world takes a giant stride towards health. But at the same time, it is imperative for these service providers to get a good-looking & functional website to remain competitive. Today's freebie gets you YogaStudio - One page PSD Template carefully designed with the audience in mind. You are free to use this template to create your own website or use it to create commercial web pages. Get more people on board the fitness wagon with this super awesome freebie! Grab this elegant PSD template absolutely FREE! Suitable for yoga centers, fitness schools, and dance classes. Get more people on board the yoga wagon with this super awesome freebie! No support and updates will be provided. You can use this for your personal and commercial purpose. Grab this super awesome template absolutely FREE Today! An OK one page PSD template that you will have to convert to actual HTML working page. The PSD includes a 12 grid layer that you can use to line things up and see where they fit. In terms of converting the PSD to a working one-page design, depending on your programming skills, it may or may not be an easy task – so be prepared to do some work. 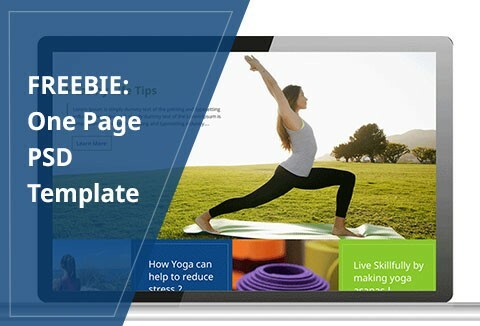 Otherwise, if you know how to convert such a layout to a working singe-page site it’s OK.
Great PSD template for starters which you can turn into WordPress or just use as base for any Yoga website!